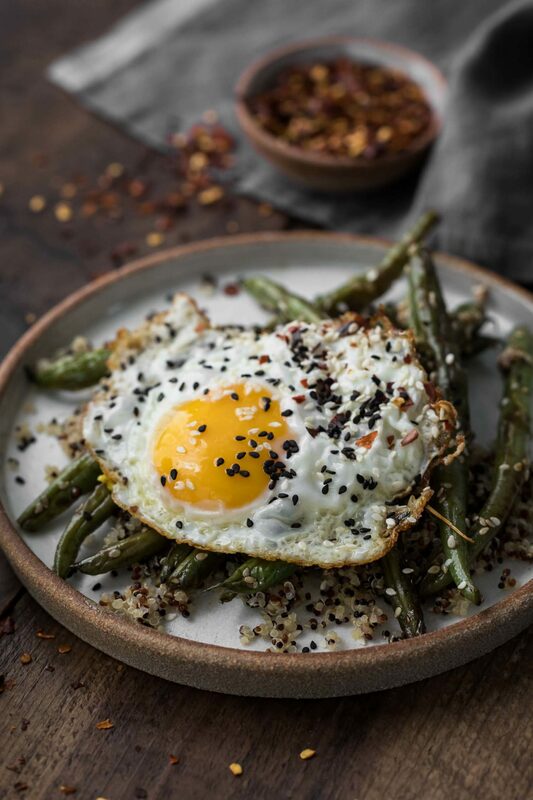 Sesame Green Beans with Quinoa and Eggs | Naturally. Here it is, my last full on summer recipe. My kitchen is starting the transition to fall and thus, so is the site. One of the beautiful things about living in the California valley is that summer produce continues on for some time (we’re still knee-deep in tomatoes). Yet, the weather is definitely feeling more like fall; cool nights and crisp air. I’ve still been inspired by summer produce which means I have one last summer recipe to share. It features one of my favorite components: sesame green beans. I first started cooking these green beans to use in spring rolls. That spilled over into stir-fries and eventually grain bowls. This quinoa dish is easy and fast, especially if you make the green beans ahead of time. 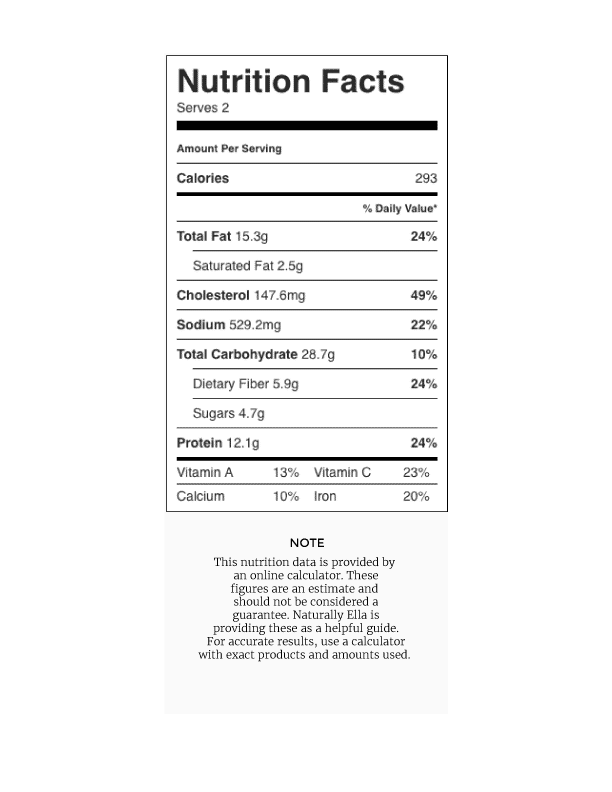 Plus it’s perfect to eat for breakfast or a light lunch! 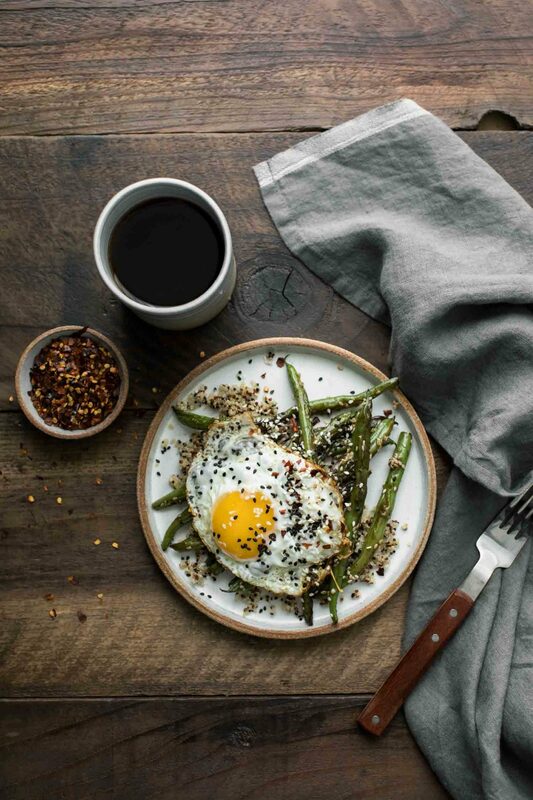 An easy green bean breakfast featuring sesame green beans paired with quinoa and a fried egg. Rinse, dry, and trim the ends from the green beans. Heat a medium skillet with a lid over medium-low heat. Add the oil followed by the green beans. Cover and cook until the green beans have brightened in color and are just starting to become tender; 3 to 5 minutes depending on heat. Remove the lid and continue to cook for another couple minutes; until the green beans are browning and tender. Add the remaining ingredients in, cook for another minute or so then remove from heat. Divide the quinoa onto two plates then top with green beans and fried eggs. Tips & Tricks: The green beans make for a solid component. Make a large batch on the weekend and use for salads, spring rolls, and wraps throughout the week. Keep the green beans, swap out the rest. 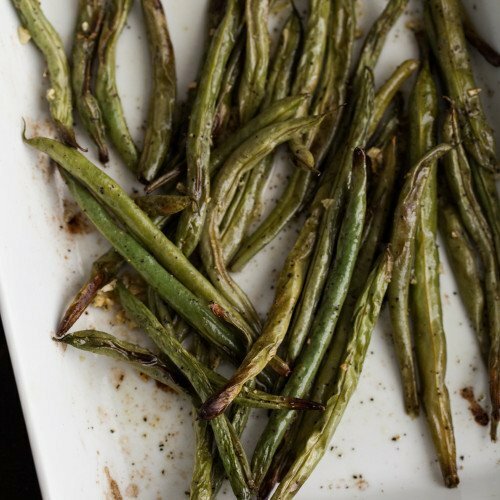 As mentioned above, these sesame green beans are a solid component. 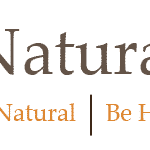 I usually make up a pound or two of the beans and use throughout the week with grain bowls, wraps, and even salads. Vegan: Drop the egg. You could also add some fried or crispy baked tofu. Grains: Use whatever you have on hand. Millet is a favorite of mine but you could also do a multigrain mixture. Garlic: I left the beans simple but a bit of minced garlic is the perfect addition to the green beans. this is wonderful. fits my “slow carb” thing perfectly, was getting a little sick of my own egg routine, so this will be a great switch, thank you! Wow these green beans are everything !!! Thanks!